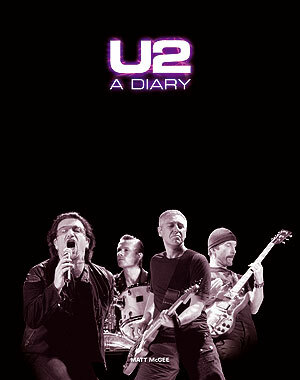 I just want to offer a HUGE THANKS to everyone who responded so quickly to the last-minute call for fan photos for the 2nd edition of U2-A Diary. In just 3-4 days, dozens of great photos came in from fans all over the world. If I recall correctly, I heard from fans in North America, South America, Australia/New Zealand, Europe and Asia. And maybe more! I’ve just posted the photos for Omnibus Press (the publisher) to consider, and the final tally is 60+ photos from 21 fans. That’s pretty darn good for such a short period of time. Best of all, there’s some really great photos in the group and I know we’ve made the photo editor’s job difficult! I certainly wouldn’t want to have to try to decide which photos can or can’t be included. So, anyway, THANKS AGAIN to all who submitted. I won’t know what photos were selected until the book is printed and published, so we’ll all find out at about the same time. That should be sometime this summer.